I worked on the FS concert which remains a high point even 50 years later. I went to that concert and was totally blown away I now have the cd and the program and the ticket stubs but would love the dvd. They have released the cd of that concert. I know that there is a CD of this concert available on the bootleg circuit. It’s called: “December Down Under.” And yes, a DVD also exists as well. I was surfing the web to get opinions on what people think was Sinatra’s best performance and this, in my opinion, may be it. This concert seems to have a different tempo than anything I’ve ever heard him do, do you have any information on the arranger, band, etc.? The Historic Houses Trust have produced an exhibition at the Museum of Sydney on Sydney Stadium, the exhibition is called ‘The Wild Ones: Sydney Stadium’ and covers many events that were held at the Stadium during it’s opening years which included the Frank Sinatra concerts in Sydney, and all the big shows that Lee Gordon bought to Sydney. Fabulous moments of Sinatra in concert. To think one of TV channels in Sydney got this on video-great camera work and production-really fine orchestra and arrangements. I believe Sinatra played Sydney early 70’s with a smaller backing outfit-like to hear this this also. Memorable recordings. Thank you. I went to this concert in the seventies at the Horden Pavilion but I don’t think there is a recording of it. I was one of four cameraman this night at the old Sydney Stadium, it was never shown in Sydney via TCN9 but had one showing on GTV Melbourne as per Sinatra’s contract. It was recorded on 9’s new Ampex 2″ videotape recorders and Kinerecorded to 16mm and that’s what you see on the Youtube clips. We used four Fernseh cameras and Max Alexander did the sound mix in TCN’s OB van. Unfortunately the last vision reel (about 15m) was ‘lost’ however the full soundtrack still exists. As we all agree this was a magnificent performance with the sort of lively beat that wasn’t apparent on the Capitol recordings of the day. Sinatra brought his conductor, pianist and drummer and perhaps lead trumpet and the rest were the best of the Sydney musos of which Sinatra said on the night “this is one of the best groups I have ever performed with” lots of memories. R.H. If there is a soundtrack of this concert available, please let me know. Listening to Jonathan Schwartz on WNYC-FM (New York City, New York) this morning here on the left coast, and Schwartz played the opening including the introduction and then “I’ve Got the World on a String.” It is amazing to hear this. I had heard the Red Norvo concert from Australia (and have the CD), but this is something I don’t recall hearing before….I don’t have the knowledge of the folks here about Francis Albert Sinatra, though I guess it’s okay for a 60s and 70s rock fan…. To those who may be interested, the the final ‘lost’ reel containing the last five song is around. Do you have the complete video you mean? WOW what a great site ! I am now researching the career of one hell of a great singer who had the honour to be Sinatra’s opening act at Sydney Stadium: TIMI YURO ! She had a very big hit at the time with her spine-tingling rendition of Hurt. Funnily enough a new French bio of Sinatra which I have was out a few weeks ago at…Perrin editions in Paris ! And a full hour was devoted to the French Sinatra biographer (not a translation) and to the Man himself on a big French radio station. I hope to receive some replies for my Yuro query. Also I wonder if the French Paris Olympia show a few months later was officially released on CD as it does survive in the Europe 1 vaults (the French radio station that broadcast the show back then – after some praise on stage from a very famous MC CHARLES AZNAVOUR who’s now 90 but still very active nowadays ! 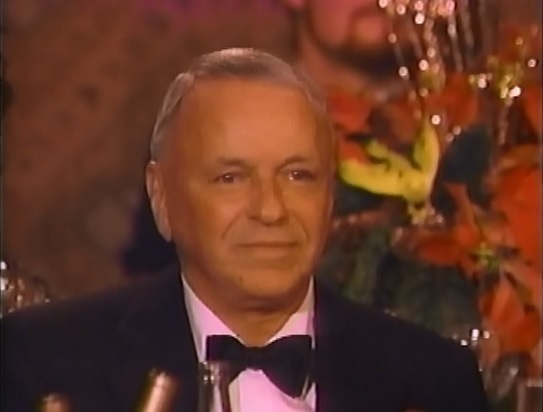 I am scouring youtube right now for any of the Sinatra clips from his 1961 concert down under and can’t seem to find any as yet.Can anybody send a link to help out Ta,Harald.. They have stopped the YouTube video of the 1961 concert I saw them a few years ago but have been stopped all you see it a photo. I am a huge fan of Sinatra I now have the complete set of the Dec concert 1961 we were sitting right behind the orchestra what a show I have the ticket stubs program and now have the just released two set cd one of which is that concert. He came out and it was pure magic one of the songs he started to sing and then put a stop to it just wasn’t quite right and then he started again I saw Sinatra five times when he came to Australia and feel blessed to have seen him live. I was at the Stadium when Sinatra first came to Oz in 1953 I think it was. The Stadium was a house of pain. It had hosted some of the most brutal fights, and the wrestling was for real in those days. This was way before the opera house was built and was the only venue for a concert. The band was a local one we used to go hear at the Ironworkers Building on Sundays. They played the Riddle charts for the concert but not very well. Sinatra got a great ovation when he appeared walking down the aisle to the ring. His career had just got back on track when he played Magio in From Here to Eternity. He proved to be the shyest entertainer I’ve ever seen. Judy Garland, whom I saw in London, would have blown him away had they appeared together. Still, there was only one Frank, and we miss him greatly. Good stuff, Jonathan. Thank you for the comment. Who is Jonathan by the way? Me too I remember him saying that I have bought that cd and I think he says that on it. can anybody tell me how I can obtain a copy of the 1961 concert in cd and or dvd . please. Se desconoce el efecto de citalopram sobre el metabolismo de las benzodiazepinas. I shot 2 ¼ ” colour slides that night from the 2nd row. That Sydney concert Dec 2nd 1961 is going to be released this month with other concerts Sinatra on tour on 21st of this month it is a box set” Wotld On AString” Amazon. are there still comments allowed on this site in 2017? I have the master tapes (reel to reel) of both the Sydney concert & the Melbourne concert by Sinatra.They are unedited & record the whole programme with Frank interacting with the crowd, joking, commenting on songs,requests by the crowd etc etc.The Melbourne concert was never officially recorded & rumour was that there was a recording made.I now can verify that there was & I have it.These are part of a find that in the music industry can compare to the discovery of the treasure found in King Tut’s Tomb in Egypt! In all there were 30 full length double sided 8 inch Reel to Reel tapes of Sinatra.These were not commercially recorded tapes of Sinatra for sale in shops,but blank tapes used to record a major number of Sinatra’s concerts,nightclub shows & other appearances throughout American states & overseas from the early 1950’s to the 1970’s incl.the 1960’s Australian concerts.The Big mystery is who made the recordings?Who had access to all of these appearances over such a long over so many venues across the USA & Worldwide?Who would Frank trust enough to allow these recordings? Surely it must have been a Producer or Band leader or even Frank himself as no one would be allowed to carry one of these heavy big sized recorders on stage & plug it into the powerpoint on each of these appearances? And what of the 3 full length unedited Studio recordings of Sinatra joking & coughing & commenting on the songs,many of which were never released? Were these made by the same person or were they personal copies kept by Frank?And of course how did they end up in far flung Australia on a rubbish dump? Hopefully some fan can throw some light on this intriguing mystery! My Dads name was Ken Brentnall, and he played trumpet on most of the Sinatra Tours in Australia after being a cameraman at TCN in ’56 and I would love to see footage of this concert. I’d love to see if he was there. I know he did the late 60’s – 70’s tours but I don’t know if he did the 61 tour….I was only one year old.